Software libraries and their Application Programming Interfaces (APIs) are essential for proper code reuse that leads to faster software development and less software bugs. However, a poorly designed API can end up causing more harm than good: clients of the API may incorrectly use certain functionality leading to runtime failures, performance degradations, or security issues. Over the last couple of decades, several program analysis techniques have been proposed to catch bugs arising from incorrect API usage . Some of these techniques rely on mining patterns of API usages, whether from code or logs, and finding violations of these patterns, while others rely on checking that client code respects explicit annotations in the API code. Some languages come with annotations that allow the API designer to indicate certain restrictions on expected values or behavior (e.g., @Notnull or @Nullable in Java). Such annotations allow static checks of client code to warn the developer, e.g., when a null reference is potentially passed in a place expecting a non-null reference (e.g., IntelliJ has support for this https://www.jetbrains.com/help/idea/nullable-and-notnull-annotations.html). However, unfortunately, such annotations are still not consistently used by API designers. Additionally, the space of possible violations and things that can go wrong is unbounded. Thus, there may be desired checks or API design problems that have no corresponding annotations. That is: even meta-design via introducing annotations cannot solve all design problems. At some level, some design problems can only be identified through experience. Moreover, the above checks and similar analyses are all posteriori measures that typically catch only a subset of the problems. In this blog post, we take the stand that we should try building APIs that are hard to misuse in the first place. We provide a set of lessons learned from common examples of problematic API design decisions. These lessons are based on our own experiences, whether as part of industrial work or part of our research, as well as examples from various sources. This list is by no means comprehensive, but a start for collecting common pitfalls of API design. The idea for this blog post was born out of our discussions during the 2nd International Workshop on API Usage and Evolution (WAPI ‘18) in May 2018 in Sweden. Description: Most design guides (rightly) point out that types should be named as nouns (string), mutating/non-const methods on those types should be named like verbs/actions (reset), and const accessors should be named like adjectives (is_blue()) or actions (find, count)). Sometimes, we don’t get that right. C++ Example: In the C++ standard library, all containers (vector, set, list, etc) have an .empty() method on them. In English, empty is both an adjective ("The glass is empty") and a verb ("Please empty the trash.") As such, it is entirely possible to encounter code that invokes empty() and does nothing with it. Java Example: In the Java Class Library (JCL), BigDecimal.setScale(...) does not actually set the scale on the receiver, but instead returns a new object with a different scale. Another example is the peek method on Java’s stream API. The name suggests that by calling this method, the code peeks at the first element in the stream. However, calling the method actually just returns a copy of the stream and nothing happens. The peeking only actually occurs when the stream is processed, e.g., by calling collect() or forEach(). Solution: Be very sure about your choices in naming. Make sure to consider all interpretations of your chosen API names. Be extra cautious about possible interpretations from non-native speakers. In the event that your chosen names can be misinterpreted, but changing the name isn’t an option, it may be useful to try to mitigate the problem. In C++, this has been done by adding the [[nodiscard]] attribute to the function. With this attribute, a compilation warning will be issued if the return value of the function is not used in some fashion. It’s likely that any pure function (sqrt(double)) and any side-effect free const method (empty()) should be tagged [[nodiscard]] to help identify bugs in client code. Description: In many respects, type design in an OO language is about identifying the logical state of a type (how you describe the type, or the mental model of a programmer using your type), the physical state of a type (the data members that implement that logical state), and a set of invariants on the logical and physical state. For instance, a type like std::string is logically “a contiguous buffer of characters of length size(), with at least one ‘\0’ character at position size().” Both these conditions can be considered the invariants of string; in other words, these are conditions that must hold at all times. Internally, a string can be represented in various ways by various standard library implementations, but a programmer does not need to know anything about the representation (the physical state) - the type provides an abstraction. In order to do this, we rely on mechanisms such as data hiding - making data members private so that users of the type cannot arbitrarily change the internals. This is important: if the various pointers and lengths in a std::string were directly accessible and modifiable, it is only a matter of time before someone accesses something inappropriately and breaks our invariants - perhaps we are no longer null-terminated, or perhaps the allocation for our character buffer has been deleted. However, sometimes the invariants of a type are unclear or “poor”, in the sense that objects of the type may reach logical states in which the invariants do not hold. Especially for value types, having unclear invariants or a vague model of what a specific type actually is leads to types that are unnecessarily hard to use. C++ Example: Many designers argue against “two step initialization.” That is, types that can be constructed separately from becoming usable. f.Run(); // Do whatever we’re supposed to do. If we consider this from the perspective of invariants, this becomes clearer. In a two-step initialization design, every function needs to be labelled to describe whether it’s allowable to call that function before calling Init(). In the example above, Run() cannot be called unless the object is initialized using Init. As the class gets bigger, merely documenting which methods are safe to call when becomes more complex - and the odds of users doing it wrong go up. It’s much better when your type has simpler invariants: if it is constructed, it’s valid. Unfortunately, two-step initialization designs are still common, and the resulting types are consistently error prone. For instance, the design of std::fstream shows this design smell: the majority of the API for std::fstream cannot be used after construction, it requires a secondary call to fstream::open(). C++ Example 2: In modern C++, there is also an inverse to two-step initialization. In C++11, the language added support for “move semantics” - an optimization of copying for an object where the source object is known to be unnecessary and can be consumed in the process of moving into the destination object. s1.clear();  // s1 still exists, but is in an undefined state. //You can only safely call methods that have no preconditions/make no assumption about its contents. In order to avoid adding a “moved-from” state to every type, the language says that a moved-from object is left in a “valid but unspecified” state - the invariants of the type are still upheld, but you cannot reason about the state. This allows the object to be used for operations with no preconditions (you can still call clear() or size() on a moved-from string, but you cannot assume whether or not a call to operator is valid). Moved-from objects and invariants work just like two-step initialization - sometimes people design types where the moved-from state no longer obeys the rest of the type invariants. For instance, a smart pointer that expresses sole ownership (a la std::unique_ptr) and whose content is declared to never be null. When such a type is moved-from (the owned pointer is moved away) the result either violates the sole-ownership invariant or the not-null invariant. Such a NotNullUniquePtr is a common design with broken invariants. Similar to the C++ example above, calling doFinal() without calling init() will not work. Simply calling getInstance() does not guarantee that the invariants of the type hold. Instead, one has to call init() to initialize the cipher and get an actual cipher object that respects the description of the class: “This class provides the functionality of a cryptographic cipher for encryption and decryption”. Solution: Be clear what your type is, and document its invariants. Make sure that those invariants are as simple as possible and that they actually hold. Don’t add invalid states - neither at construction nor destruction (nor moved-from). Description: To give the developers flexibility in which values they want to specify, and to simplify usage, many APIs come with default values for certain parameters or required fields. In Java, this is typically achieved through providing various overloaded methods or the Builder design pattern. While default values make it easier to create the necessary objects, developers may not be aware of what these defaults are. If the defaults chosen in the API’s design are problematic for any reason, then the default behavior of the API becomes problematic. Java Example: In the Java Cryptography Extension (JCE) library, which contains Java’s default cryptography support, the default value for the encryption mode when using the popular AES cipher in the javax.crypto.Cipher constructor is the Electronic Codebook Mode (ECB), which is insecure . Thus, client developers who rely on the API’s default values end up using insecure encryption in their applications. Code reviewers might easily miss the problem, because the insecure setting is not visible in the client code. API developers cannot easily fix this problem, because changing the default value would break existing client applications that already encrypted values using the (insecure) default value. Solutions: Choose reasonable default values for your API. If any default value may become unreasonable (or even critical), consider making it an explicit required parameter. This would at least allow the bad default value to be spotted during code review. Clearly document these default values. Description: A parameter is stringly-typed, if its type is string, but it expects a more specific value that could be more appropriately typed. As a result, client developers cannot make use of many assistance tools, such as static type checkers or completion engines, when programming against the API. This makes the API harder to learn and more easy to misuse. a client developer cannot see that the parameter value specifies only one of three actual parameters. Lessons Learned: Use specific types instead of encoding values as strings. Declare separate parameters for separate values, instead of joining multiple values in one string. Description: Placing a method on a class where it is unexpected may lead to clients using it in unintended ways. Java Example: Java’s primitive-type wrapper java.lang.Boolean has a method getBoolean(String). This method returns true if there is a system property with the given name and the value “true”, and false otherwise. Developers might easily confuse this method with parse(String), which converts a string (“true”/”false”) to the corresponding boolean value. Solution: Place methods on an API where it’s functionality is likely to be expected, e.g., the System class for querying a system property. The March/April Issue of IEEE Software, as usual, is chock full of interesting articles on challenges and advances in software engineering. The topics in this issue range from the always popular topics of DevOps and security to the related but separate topic of release engineering. One special addition to this issue is a special thanks to all those that participate in the reviewing efforts in 2017. Of course the reviewers help make IEEE Software the magazine that it is, so thank you from us all! The articles "The Challenges and Practices of Release Engineering" and "Release Engineering 3.0" set the tone for the focus articles in this issue. The two articles provide some background on release engineering and discuss the state of the art in the field. Each of the other articles take a deeper dive into more specific aspects of release engineering. For example, in the article "Over-the-Air Updates for Robotic Swarms", the authors present a toolset for sending code updates over-the-air to robot swarms. In "Practitioners' Agile-Methodology Use and Job Perceptions", the authors report on a survey conducted to better understand practitioner perceptions of agile methodology use. Similarly, "Making Sense of Agile Methods" provides insights into agile methodologies based on personal experiences of the author. Wanna know more? Make sure you check out the March/April issue of IEEE Software today! The blog was a little light for March and April (as many of us had deadlines we were meeting). But of course we always try to make sure there's some kind of knowledge sharing going on! For those who are also a little behind on things and want a quick way to catch up on the previous issue (January/February), there's a summary posted on the blog. In the post "Which design best practices should be taken care of? ", the authors report on the results from a survey sent out to learn more about the importance of design best practices. The post also reports on some of what was found to be the more important design concerns, such as code clones and package cycles. For those interested, there's also a reference to the authors full research article on this work. 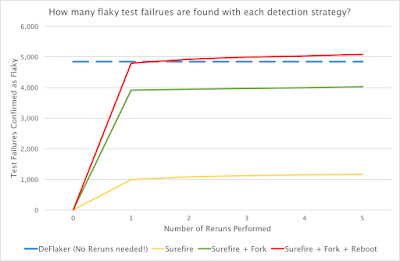 The other April post, titled "Efficiently and Automatically Detecting Flaky Tests with DeFlaker", the authors present a new approach, called DeFlaker, that can be used to detect flaky tests (without having to re-run them!). 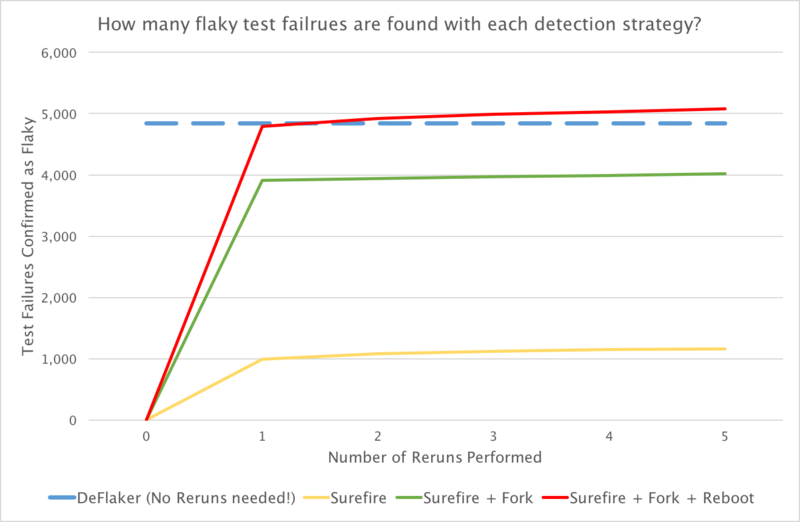 The post also includes some details on the evaluation of DeFlaker and other relevant resources (such as a link to the project's GitHub page and full publication) for those interested in learning more about this tool. The SE Radio broadcasts this issue were also a little light, but of course no less interesting! This issue is a technical one, with all discussions focused on various technologies. Nicole Hubbard joined SE Radio host Edaena Salinas to talk about migrating VM infrastructures to Kubernetes -- for those of you (like me) who have no clue what that is, they talk about that too! Nate Taggart spoke with Kishore Bhatia about going serverless and what exactly that means. And lastly but certainly not least in this issue, Péter Budai sat down with Kim Carter to talk about End to End Encryption (E2EE) and when it cane (and should) be used. Why should start-ups care about technical debt? We asked 84 start-ups to estimate levels of technical debt (TD) in their products and reflect on their software engineering practices. Technical debt is a metaphor to describe suboptimal solutions arising from a tradeoff between time-to-market, resources, and quality. When not addressed, compound effects of suboptimal solutions hinder further product development and reduce overall quality. Start-ups are known for their speed of developing innovative products and entering new markets. Technical debt can slow a start-up down and hinder its potential of quickly iterating ideas, or launching modifications for new markets. On the upper side, start-ups can leverage on technical debt to quickly get a product out to customers without significant upfront investment in product development. Our data from 84 companies shows a clear association between excessive levels of technical debt and state of start-ups. We differentiate between active start-ups working on their products, and closed and paused start-ups. The results show that too much technical debt can impair product quality to the extent that further investments in the product to remove technical debt become unfeasible. Thus, excessive technical debt can kill the product and the company. Also, sustaining high levels of technical debt harms teams' morale as a lot of time is spent on patching the product. We are not advocating for the removal of all technical debt. Instead, we advocate for more understanding and awareness of technical debt. Technical debt can affect different product artifacts, such as source code, documentation, architecture, documentation, and infrastructure. Code debt or code smells correspond to poorly written code, such as unnecessary code duplication and complexity, long methods/functions, bad style reducing readability. Code debt is the easiest to spot. Documentation debt refers to shortcomings in distributing knowledge on how to evolve, operate, and maintain the product. For example, poorly documented requirements, outdated architecture drawings, and lack of instructions what maintenance actions are required falls into this category. Documentation can be white-board drawings, notes, information in on-line tools, and formal documents. In start-ups lack of documentation is often compensated by implicit knowledge about the product. However, when team grows, key people may leave or the product may be transferred to another team, e.g., in case of an acquisition, perceived level of documentation debt peaks. The new engineers need to spend a significant effort to learn the product. Architecture debt concerns structure of the software with effects on its maintainability and adaptability. Start-ups often use open-source frameworks and components to construct their products. Typically, popular frameworks come with their own best practices, and following these practices assures compatibility, easy to upgrade, and makes onboarding of new engineers faster. Testing debt refers to lack of test automation leading to the need to manually test an entire product before every release. With lack of automation, an effort of regression testing grows with every new feature, supported platform and configuration. Regression testing could not be a problem while a product is small, however, testing debt could become a concern later as start-up matures and needs to support an increasing number of features across multiple platforms. Environmental debt concerns hardware, other supporting applications, and processes relevant for development, operation and maintenance of the software product. For example, outdated server software leading to security vulnerabilities. Lack of data backup routines, problems in versioning, shortcomings in defect management, and other inadequacies may affect team's ability to create a quality product. We found that level of engineering skills and the size of the whole start-up team are the primary causes of excessive technical debt. 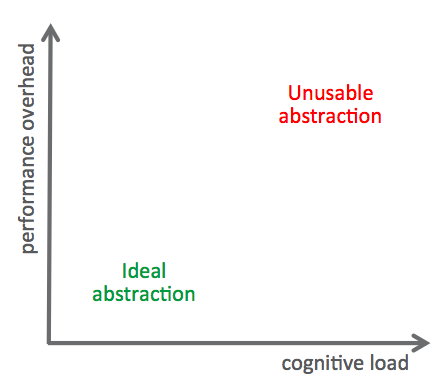 Inexperienced developers are more likely to unknowingly introduce technical debt. Our analysis shows that lack of skills contributes to communication issues and shortcomings in distributing relevant information to the team. Larger teams, of 9 or more people, are more likely to experience skills shortages, face communication issues, introduce code smells, and experience coordination challenges. Small teams of 2 – 3, engineers can easily communicate with each other to coordinate their activities. However, with every new team member, coordinating with everyone becomes more difficult and suboptimal solutions, especially code smells, find their way into the product. 1. As an engineer, be aware of good practices. Knowing the good practices can help to spot bad practices. Knowing the difference can help to better argue for or against certain solutions and be aware of potential negative side effects. 2. On a team level, run retrospectives and learn how to remove friction from collaboration. With increasing team size, new practices supporting collaboration may be needed. For example, simple practices like daily standups, pair-programming, and a task board can make a significant difference in distributing knowledge and improving teamwork. Note that difficulties in communication and coordination are associated with a size of the whole team, not only the engineering part. Thus, everyone in a start-up team must participate in coordination and communication activities. 3. On an organizational level, anticipate when to leverage on technical debt to speed up certain goals, and when to slow down and refactor. Our results show that most issues are experienced when a start-up attempts to on-board a large number of users and launch customizations for new markets. E. Klotins, M. Unterkalmsteiner, T. Gorschek et al., “Exploration of Technical Debt in Start-ups,” in International Conference of Software Engineering, 2018. B. Stopford, K. Wallace and J. Allspaw, "Technical Debt: Challenges and Perspectives," in IEEE Software, vol. 34, no. 4, pp. 79-81, 2017. E. Wolff and S. Johann, "Technical Debt," in IEEE Software, vol. 32, no. 4, pp. 94-c3, July-Aug. 2015. C. Giardino, N. Paternoster, M. Unterkalmsteiner, T. Gorschek and P. Abrahamsson, "Software Development in Startup Companies: The Greenfield Startup Model," in IEEE Transactions on Software Engineering, vol. 42, no. 6, pp. 585-604, June 1 2016.